The ALTOUR University internship gives you the opportunity to learn from the inside of one of the largest travel agencies in the world. The four week program combines training on agency reservation systems with an introduction to the vast components of the world of travel. Job shadowing and mentoring afford the opportunity to grow and develop your communication skills. ALTOUR University. It’s only four weeks… but it can lead to a lifetime of travel. The primary objective of ALTOUR University is to prepare our interns for an entry level position in one of our ALTOUR offices, located across the globe. In addition to Sabre/GDS training and mentorship from senior agents, we also recognize how important it is for you to become familiar with the entire scope of our travel industry- including the many preferred partners that we work with on a daily basis. 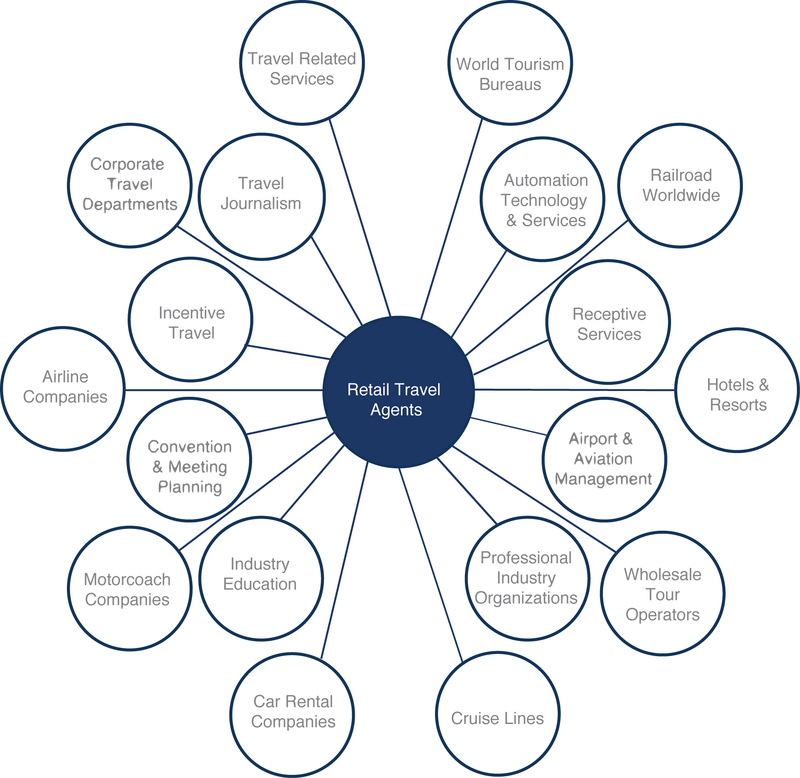 The "Travel Career Network Center" outlines the many preferred supplier organizations that you will learn about during your time at ALTOUR, all stemming from a career as an ALTOUR travel agent! When I started ALTOUR 25 years ago, it was my dream to find the best people, give them the best tools, and then to set them free and see what they could do. We’ve had incredible success following that philosophy. What I did not foresee then was the aging of our industry. This is where you come in. You have an opportunity to make a tremendous impact in an industry that is thirsting for youthful input. You are part of a generation that wants to travel more than ever and is big on self-reliance. Yet, there is a throng of young travelers that want exceptional service -- and they are willing to pay for it! The ALTOUR University will give you an opportunity to discover whether travel is in your blood and whether you are well-suited for this industry. If so, your future is unlimited! You are standing at the cusp of an incredible opportunity. Go forth with gusto! This could be your life’s calling! ALTOUR University is proud to work with our preferred suppliers to create an array of activities that allow you to gain hands on experiences from our industry. Tour of LAX, hotel site inspections, cruise ship visits, and more! Please check back with us soon. All of our industry activities will be confirmed closer to date! ALTOUR University is a combination of Sabre GDS training (12 hours per week), mentorship from senior agents (16 hours per week), and events/presentations from various travel industry suppliers (12 hours per week). Standard business hours are 9am-6pm, Monday-Friday *there will be some off site visits during office hours as well as optional activities outside of standard hours. All participants are responsible for personal accommodations and transportation. ALTOUR will provide discounted hotel and rental car prices, upon request. Applicant must have reliable transportation, possess and maintain a valid driver’s license, including continuous proof personal vehicle insurance coverage and insurability. Ready to join the ALTOUR family?